—Grandma Knew What She Was Doing! It’s becoming clearer and clearer just how limited—in both variety and nutritional value—our "modern" diets have become. This realization has sparked a new and widespread interest in the culinary and therapeutic uses of plants that were once common in the pantries, cooking pots, and medicine chests of our grandparents. 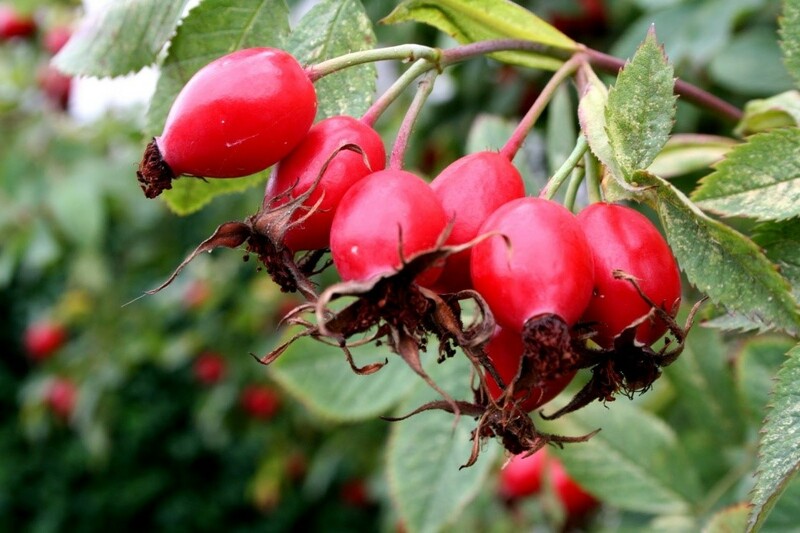 One of the most popular and available plants our ancestors relied on for health, that we’ve forgotten about today, was the rose hip. As the last rose of summer fades and dies off, it leaves behind a little bright red or orange fruit that's just loaded with vitamin C and smaller (but still significant) amounts of calcium, phosphorus, and iron. 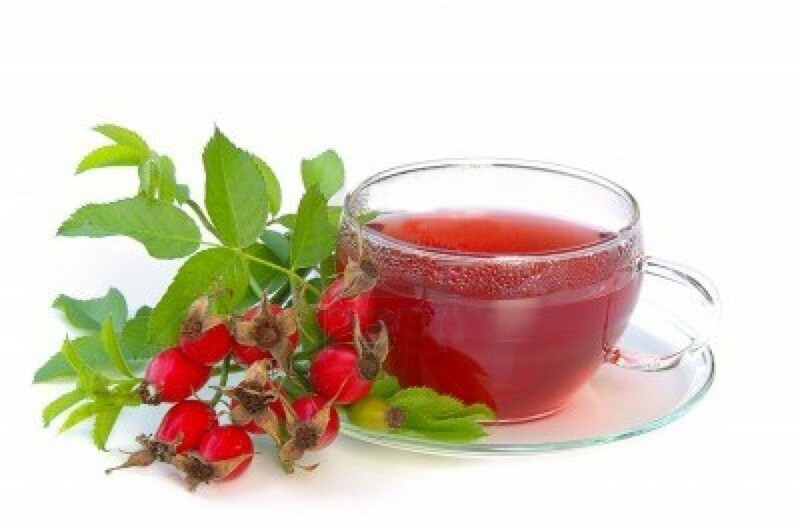 In fact, every teaspoon of rose hips that you include in your teapot can provide you with as much of the valuable supplement as five or six large oranges! And our grandmothers incorporated rose hips into all sorts of recipes because of these very reasons. 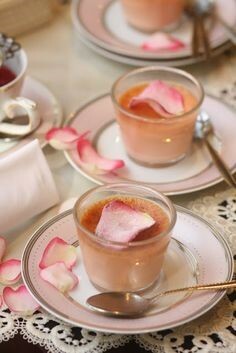 Since rose bushes are members of the Rosaceae family (which includes strawberries, apples, cherries, plums, and raspberries), it's not surprising that these little hips have a tart, apple-like taste that can be enjoyed in the form of jams, jellies, and syrups. One of the most flavorful species is the Japanese Rose (Rosa rugosa ), which grows so abundantly in the eastern United States that it's now considered a nuisance. The rose's vitamin-packed seed pods are ripe when their colors are bright and the berries detach easily from the stalk. Picked fresh, they make a great tea. To brew, just chop them up and let the berries steep in hot water until the desired strength is reached (or mix the diced fruit with your favorite tea blend). They can also be dried and stored for future use, too. To air dry, simply slice off the top and bottom tips, cut the hips in half, and spread them out for several days in an airy place (but avoid direct sunlight or high temperatures, to prevent the loss of vitamin C). You can dehydrate the hips more quickly, by placing them for about an hour in an oven set at less than 200 degrees Fahrenheit. (Your gas stove's pilot light will serve this purpose.) Or a dehydrator set at 120 or lower will work well. Store the dried pods in airtight containers and grind them as they're needed. 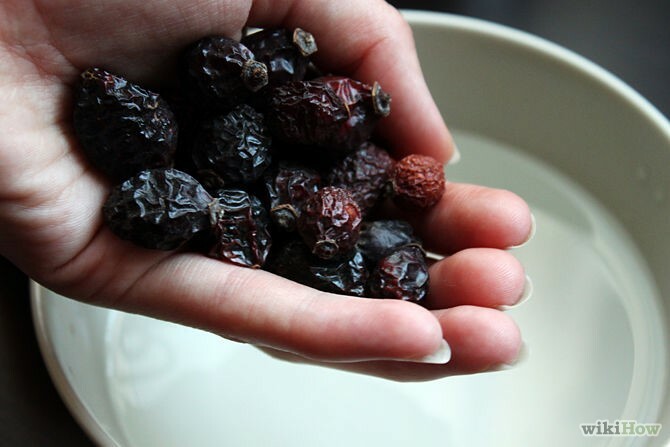 In medium saucepan, simmer water, rose hips, and 1 tablespoon honey until skins burst and pulp floats free. Strain the juice and pulp through cheesecloth or fine sieve to remove seeds. 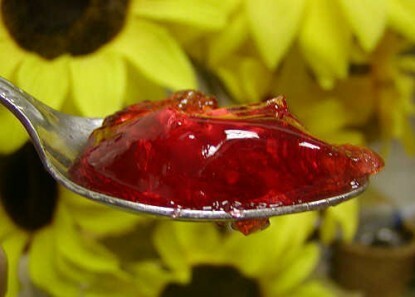 You can also use dried rose hips for this jelly, but you’ll use ½ cup of water instead. The seeds can be ground and then reboiled with more water as a way to extract their vitamin E; the resulting liquid can then be used as part of the jelly recipe (making it more like jam than jelly), or used in green drinks, reconstituting frozen juices, in dessert recipes, or in place of the water called for in other jam and jelly recipes. Preheat oven to 300 degrees F. Blend purée with milk, honey, and salt. Add eggs; whip the mix again, and pour into custard cups. Place cups in a pan holding 1 to 2 inches of hot water and bake for approximately an hour. 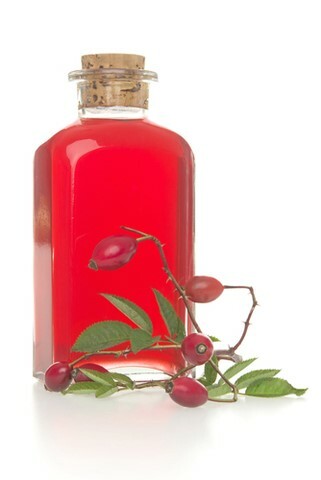 And rose hip syrup is an especially tasty treat when served over ice cream, waffles, pancakes, or French toast. To prepare it, barely cover the fruit with water and let it simmer until soft. Pour off the liquid, and then repeat the process. Mix the two extractions together, add 3/4 cup raw honey for every two cups of juice; simmer the syrup until it thickens. Keep refrigerated. Any way you consume it, this wintertime fruit can provide you with a "rosy" road to good eating, drinking, and health. So if you or your neighbors grow roses, consider harvesting these little treasures. It just might be time to do a few things the way our grandmas did!